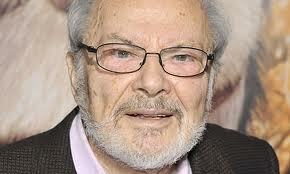 'Where the Wild Things Are' author Maurice Sendak dies at age 83. According to a report in The Hollywood Reporter, the iconic children’s book author and illustrator Maurice Sendak passed away this morning at 83-years-old after suffering a stroke Friday. Sendak’s longtime companion Lynn Caponera confirmed Sendak’s passing from a hospital in Danbury, Connecticut. In addition to writing and illustrating children’s books like In the Night Kitchen and Outside Over There, Sendak also designed sets for various operas, ballets and plays including Brundibar with playwright Tony Kushner. Inspired by her growing use of social media platforms to communicate with people, Maine artist Tanja Alexia Hollander traveled the world to visit and photograph her 626 Facebook friends for the first installation of Are you really my friend? The Facebook Portrait Project, on display at the Portland Museum of Art in Portland, Maine through June 17. According to American Photo, Hollander raised $20,000 for the project through crowd funding before setting out to photograph her diverse group of Facebook contacts, from close friends to distant acquaintances. Hollander shared with American Photo that her network of Facebook friends has grown to 900, meaning that her Facebook Portrait Project looks to be ongoing. Real life collided with Hollywood fantasy when Fox confirmed plans to change the name of its upcoming comedy Neighborhood Watch, co-starring Ben Stiller, Jonah Hill and Richard Ayoade as dads who join a neighborhood watch in order to get time away from their families but stumble upon a plot to destroy the world, to The Watch. Fox changed the title of the comedy by Hot Rod director Akiva Schaffer and screenwriters Seth Rogen, Evan Goldberg and Jared Stern due to the incendiary events surrounding 17-year-old Trayvon Martin, who was the shot and killed by Neighborhood Watch volunteer George Zimmerman. “As the subject matter of this alien invasion comedy bears no relation whatsoever to the recent tragic events in Florida, the studio altered the title to avoid any accidental or unintended misimpression that it might,” Fox Studios said, according to The Guardian. Fox scheduled Neighborhood Watch, or rather The Watch, to hit theaters July 27; perhaps around the time Zimmerman trial may be underway.